FFA - National Collector’s Mint “cancelling future commercials” on Al Jazeera America. Thus far, Florida Family Association has influenced the following companies to stop advertising on Al Jazeera America: 21st Century Insurance, Allstate, Cancer Treatment Centers of America, DeVry University, Disaronno, Dr. Pepper (A&W Rootbeer, Dr. Pepper), Fast Auto Loans, Inc., Floororthopedic.com, General Mills, Global Wireless Entertainment (Skinit.com), Greenlight Financial Services, Heineken, Home Delivery Incontinent Supplies Co., Hoveround, Kiva Microfunds, Life Alert, Little Caesar Pizza, Mr. Lid, National Collector’s Mint, News Corp. (The Following), Pulaski and Middleman, LLC (PMMESO.com), Quicken Loans, TD Ameritrade, Verizon and Wounded Warrior Project. Now is the time to voice concern over the new ownership of this channel. Not after the new program content starts airing and companies fear reprisal from the nearly 10 million Muslims in the United States who may start watching the channel. There could be as many as or even more than 10 Million Muslims living in the United States based upon a 2011 study which reported that 6.58 Million Muslims lived in this country. Florida Family Association records ten hours of programing on Al Jazeera America every day. The Florida Family Association office communicates with each advertiser on Al Jazeera America no less than once per week. Top advertisers are strategically featured one at a time because there are so few of them. Subject: RE: National Collector's Mint will be reported as supporting this Muslim Brotherhood channel on numerous activist web sites. Might I suggest that your initial contacts refrain from using threatening language. This is not the kind of approach we usually respond to positively. However, since we agree with your basic premise, we are cancelling future commercial flights. It may take a week or so for that to be implemented. Subject: National Collector's Mint will be reported as supporting this Muslim Brotherhood channel on numerous activist web sites. This is our second email regarding 2013buffaloproof.com advertisements on Al Jazeera America (aka CurrentTV) on 03/11/2013 at 07:00 on Al Jazeera America aka CurrentTV, Comcast channel 107. Companies that continue to support this Muslim Brotherhood channel with their advertising dollars will be reported at Floridafamily.org and numerous activist web sites in the near future. Al Jazeera is the mouthpiece for the Muslim Brotherhood and Arab Spring. The Muslim Brotherhood is the single largest promoter of the radical Islamist movement in the world. Nothing less should be expected to come from Al Jazeera's broadcasts to cable viewers in America. "The channel is tentatively being called Al Jazeera America, ..." According to mediabistro.com. The Wall Street Journal reports: "More due diligence might have included a review of the close journalistic coverage over the years of Al Jazeera's Arabic and English broadcasts, which discloses the unsurprising fact that the network reflects the interests of the government that runs it-making it akin to Vladimir Putin's Russia Today and Beijing's Xinhua. The emir of Qatar, Hamid bin Khalifa Al Thani, appointed his cousin as chairman of Al Jazeera. The emir was last in the news for donating $400 million to Hamas, a terrorist organization." CurrentTV only has 22,000 viewers. Americans by and large are NOT interested in the content of CurrentTV. If any increase occurs in the number of viewers after the channel becomes Al Jazeera America it will be because of Al Jazeera's Islamist propaganda which does not serve America well. National Collector's Mint may be reported as supporting this Muslim Brotherhood channel at Floridafamily.org and on numerous activist web sites. We urge National Collector's Mint to stop supporting this Muslim Brotherhood channel with your advertising dollars. 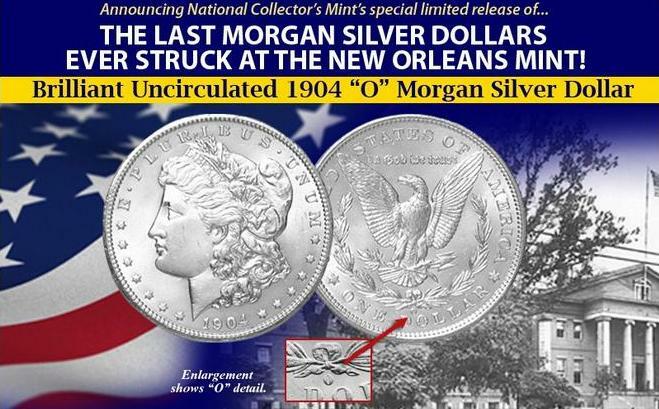 Florida Family Association has confirmed that National Collector's Mint advertisements stopped airing on March 18, 2013.